The premier historic preservation-based community revitalization conference. 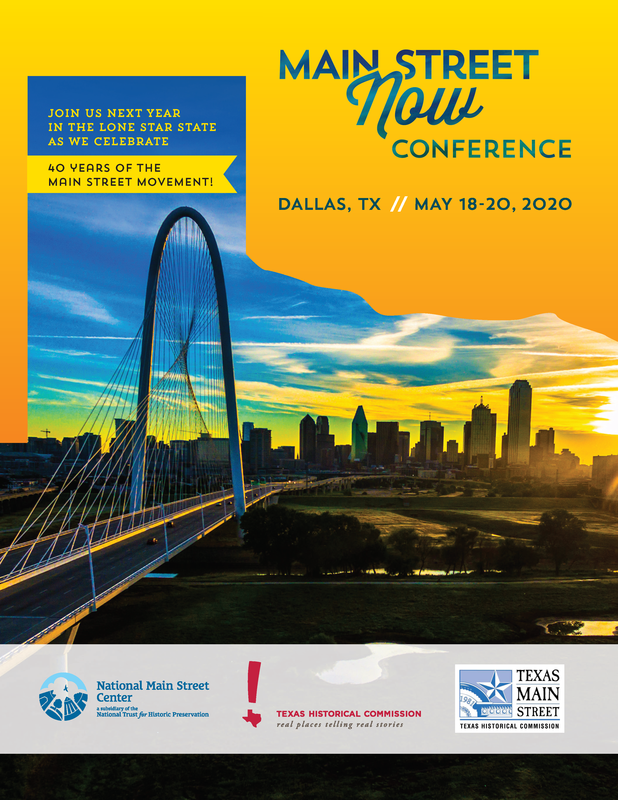 The Main Street Now Conference is a one-of-a-kind event, providing attendees with an opportunity to convene and learn about the innovative methods and practices that make the Main Street Approach® one of the most powerful economic development tools in the nation. Whether you hail from an urban business district, small rural downtown, or some place in between, you will find real solutions to common problems and techniques to help position your Main Street Program and your community to thrive. Main Street Now attracts professionals in preservation-based, economic development and community revitalization, including both experienced and new downtown and neighborhood Main Street directors, volunteers, architects, planners, economic development professionals, public officials, volunteers, and consultants. What does the conference offer you? People from urban neighborhood business districts, small and rural towns, suburban communities, large and midsized cities, will all benefit from ideas, solutions, issue discussion, and networking opportunities that only we offer. Opportunities to network with colleagues who are experiencing similar successes and challenges in their communities. Check out our Main Street Now Conference pages on Facebook and Twitter to keep up-to-date on the latest conference news. The National Main Street Center, Inc.
Main Street America has been helping revitalize older and historic commercial districts for more than 35 years. Today it is a network of more than 1,600 neighborhoods and communities, rural and urban, who share both a commitment to place and to building stronger communities through preservation-based economic development. Main Street America is a program of the nonprofit National Main Street Center, Inc., a subsidiary of the National Trust for Historic Preservation.